The newly opened One World Trade Center Observatory in New York City relies heavily on the iPad for its visitor experience, with Apple's tablet serving as both a virtual tour guide and a payment terminal. The 100th-floor One World Observatory opened to the public earlier this year, giving visitors breathtaking views of Manhattan and beyond. But the unique, sky-high experience is also aided by Apple's iPad, which can be made an integral part of the tour. The destination's "One World Explorer" accessory is an optional personal tour guide that is powered by Apple's iPad. 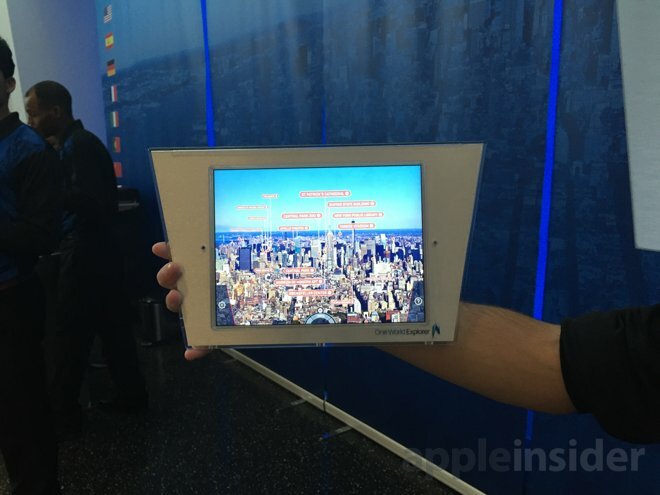 Using the iPad's gyroscopes, the device allows users to scan New York City's horizon and identify landmarks. The iPad is encased in plastic, preventing users from accessing hardware features like the home button. But staff at the skyscraper and promotional materials make it very clear that it is in fact an iPad used to power the tour, as seen in the video below. When a user selects a landmark, the One World Explorer iPad then begins a virtual helicopter tour from the top of the building to the destination. Users can move around the observatory, and the view on the iPad screen will move with them. The history and stories behind each location are then presented for the user, as narrated by writer Jay McInerney. Over 40 landmarks are highlighted, and there's also a special section just for children. One World Trade Center is also using iPads for both customer and employee facing terminals when buying commemorative items from the gift shop. 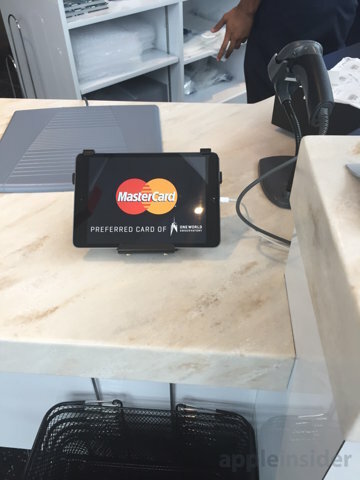 Sponsored by MasterCard, the terminals includes an iPad Air that is used by employees to complete the transaction. 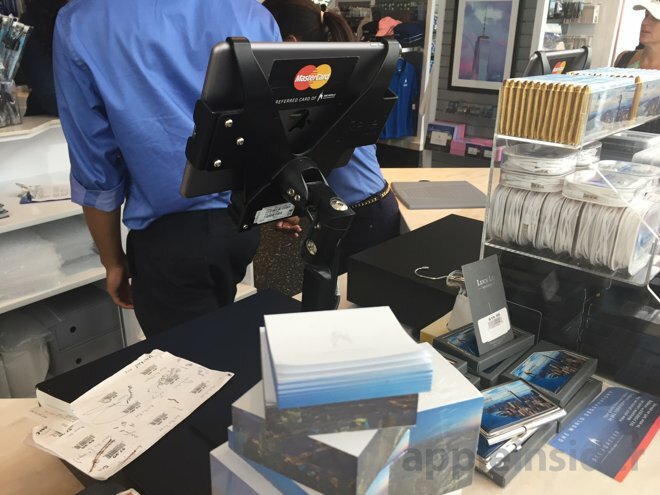 Customers also authorize the transaction with an iPad mini that is mounted to the counter, and connected to the terminal through a Lightning cable. Tickets to One World Observatory cost $32 for adults, $30 for seniors, and $26 for children. The One World Explorer iPad personal tour guide is an additional $15.